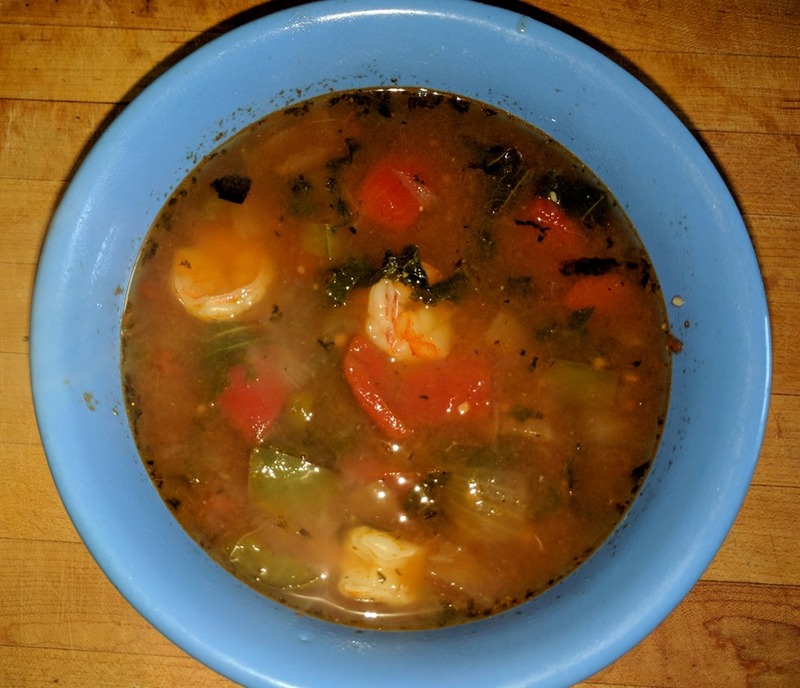 I have been making this soup for about 20 years and it remains one of my all time favorite recipes! 1) Boil water, reserved shrimp shells and clam juice for 15 minutes. strain and reserve stock. 2) Sauté onions, peppers and garlic in butter for 2 until tender, add tomatoes, bay leaves, thyme, tabasco and reserved stock. bring to a boil. reduce heat, simmer 15 minutes. 3) Add greens to soup, simmer until greens are bright green, about 3 minutes. add shrimp, simmer 1 more minute. turn off heat, add file powder, season with salt and pepper and Tabasco. 4) Garnish with diagonal cut scallions.